Hampton Hawes (November 13, 1928 ? May 22, 1977) was an American bebop and hard-bop jazz pianist, recognized as one of the finest and most influential of the 1950s. Hampton Barnett Hawes, Jr. was born November 13, 1928 in Los Angeles, California. His father, Hampton Hawes, Sr., was minister of Westminster Presbysterian Church in Los Angeles. His mother, the former Gertrude Holman, was Westminster's church pianist. Hampton Barnett Hawes, Jr. was born November 13, 1928 in Los Angeles, California. His father, Hampton Hawes, Sr., was minister of Westminster Presbysterian Church in Los Angeles. His mother, the former Gertrude Holman, was Westminster's church pianist. Hawes' first experience with the piano was as a toddler sitting on his mother's lap while she practiced. He was reportedly able to pick out fairly complex tunes by the age of three. Entirely self-taught, by his teens Hawes was playing with the leading jazz musicians on the West Coast, including Dexter Gordon, Wardell Gray, Art Pepper, Shorty Rogers, and Teddy Edwards. His second professional job, at 19, was playing for eight months with the Howard McGhee Quintet at the Hi De Ho Club, in a group that included Charlie Parker. After serving in the U.S. army in Japan from 1952?1954, Hawes formed his own Hampton Hawes Trio, with the bassist Red Mitchell and drummer Chuck Thompson. The three-record Trio sessions made by this group in 1955 on Contemporary Records were considered some of the finest records to come out of the West Coast at the time. The next year, Hawes added guitarist Jim Hall for the All Night Sessions - three records made during a non-stop recording session at the Contemporary Studios in Los Angeles. After a six-month national tour in 1956, Hawes won the 'New Star of the Year' award in Down Beat magazine, and 'Arrival of the Year' in Metronome magazine. The following year, Hawes recorded in New York City with Charles Mingus on the album "Mingus Three" (Jubilee JLP 1054, 1957). Struggling for many years with a heroin addiction, Hawes became the target of a federal undercover operation in Los Angeles in 1958. The Drug Enforcement Agency bargained that Hawes would inform on suppliers in L.A. rather than risk a successful music career. Hawes was arrested on heroin charges on his 30th birthday, but refused to cooperate, and was sentenced to ten years in a federal prison hospital - twice the mandatory minimum. In the weeks between his trial and sentencing, Hawes recorded an album of spirituals and gospel songs, The Sermon, for Contemporary Records. After serving three years at Fort Worth Federal Medical Facility in Texas, in 1961 Hawes was watching President Kennedy's inaugural speech on television, when he became convinced that Kennedy would pardon him. In an almost miraculous turn, President Kennedy granted Hawes Executive Clemency in 1963, the 42nd of only 43 such pardons given in the final year of Kennedy's presidency. After his release from prison, Hawes resumed playing and recording. During a world tour in 1967-68, the pianist was surprised to discover that he had become a legend among jazz listeners overseas. During a ten-month tour of Europe, Asia and the Middle East, Hawes recorded nine albums, played sold out shows and concert halls in ten countries, and was covered widely in the press, appearing on European television and radio. Raise Up Off Me, Hawes' autobiography, written with Don Asher and published in 1974, shed light on his heroin addiction, the bebop movement, and his friendships with some of the leading jazz musicians of his time. The book won the prestigious ASCAP Deems Taylor Award for music writing in 1975. Critic Gary Giddins, who wrote the book's introduction, calls Raise Up Off Me "a major contribution to the literature of jazz." The Penguin Guide to Jazz cites it as "one of the most moving memoirs ever written by a musician, and a classic of jazz writing." In the 1970s, Hawes experimented with electronic music (Fender-Rhodes made a special instrument for him), although eventually he returned to playing the acoustic piano. As a pianist Hawes' style is instantly recognizable - for its almost unparalleled swing, unique approach to time and harmony, and its depth of emotional expression, particularly in a blues context. Hawes influenced a great number of prominent pianists, including Andr? Previn, Oscar Peterson, Horace Silver, Claude Williamson, Pete Jolly, Toshiko Akiyoshi and others. Hawes' own influences came from a number of sources, including the gospel music and spirituals he heard in his father's church as a child, and the boogie-woogie piano of Earl Hines. He also learned much from pianists Bud Powell and Nat King Cole among others. By Hawes' own account, however, his principal source of influence was his friend Charlie Parker. Hampton Hawes died suddenly of a brain hemorrhage in 1977, at only 48 years old. He is buried next to his father, Hampton Hawes, Sr., who had died just five months earlier, at Lincoln Memorial Cemetery. 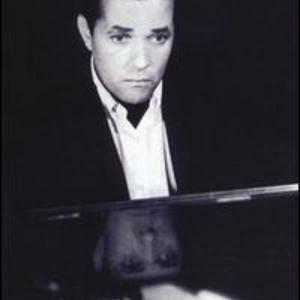 In 2004, the City Council of Los Angeles passed a resolution declaring November 13 'Hampton Hawes Day' throughout the City of Los Angeles.